KANSAS CITY, Mo. 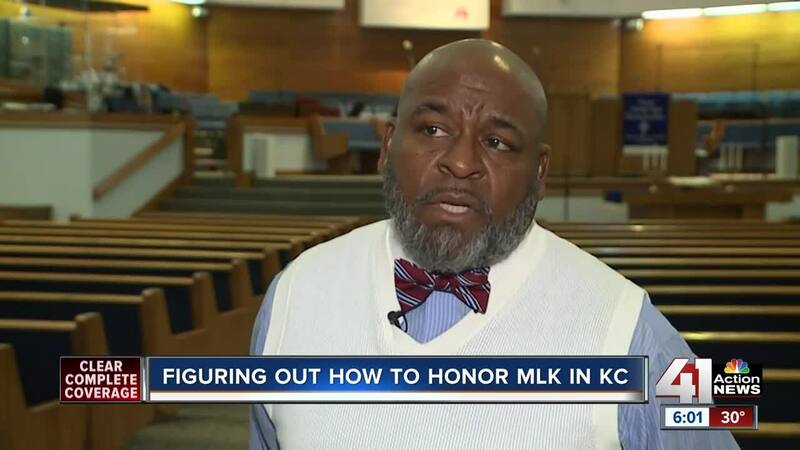 — As special Martin Luther King Jr. Day ceremonies took place around the metro on Monday, supporters of a plan to rename Paseo Boulevard after him in KCMO were still waiting for progress with city leaders. The issue of renaming a street after the civil rights icon has been ongoing for years in the city. Last year, a committee went as far as recommending three sites to possibly rename after King: Paseo Boulevard, 63rd Street, and the new terminal being built at Kansas City International Airport. For local civil rights leader Vernon Howard of the Southern Christian Leadership Conference, the Paseo plan in particular stood out to him. Months after Howard helped organize a proposed ordinance to rename Paseo Boulevard for King, answers are still waiting to be found. The ordinance is supported by city councilman Quinton Lucas, who told 41 Action News that the plan hit a roadblock with other city leaders. Lucas tweeted on Monday night that the SCLC plans to ask the city council for a vote on changing the Paseo to Marin Luther King, Jr. Blvd. on Thursday. He also said, "resolution likely ahead." This year’s Martin Luther King Jr. Day left supporters frustrated with the lack of movement on the issue. Despite other possible locations being named, Lucas said significant discussions on an alternative plan to Paseo Boulevard have yet to take place. Howard told 41 Action News that Kansas City is one of the biggest cities in the country not to have a street named after King. As progress on the issue still waits to take shape, he said he would continue calling on City Council to make a decision. City Council will hold it’s next legislative meeting on Thursday at City Hall at 3 p.m.